Jockey Ryan Plumb steered Tyzone to win the Goldmarket Stakes at the Gold Coast. The Gold Coast’s premier jockey Ryan Plumb scored his biggest win on the track with a pick-up ride on tough gelding Tyzone. The winner of 14 previous races, Tyzone ($8.50) charged down the outside to beat Malvern Estate ($7) and Freddie Fox Trot ($12) in the Listed Goldmarket Stakes (1200m). The Goldmarket was originally meant to be run at the Gold Coast Jewel meeting last Saturday but was one of three races washed out. It was then transferred to Saturday, which created problems with jockeys who had been booked for the race even though the Goldmarket was listed to be run last. 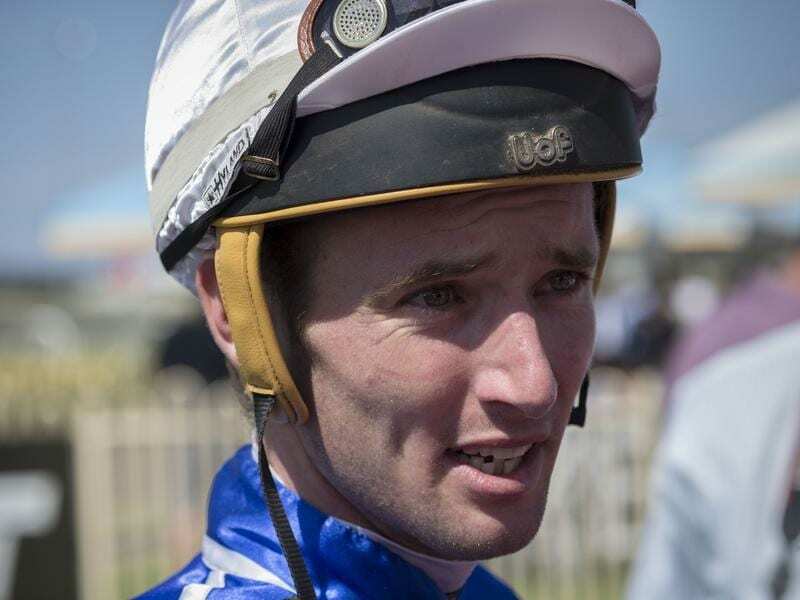 One jockey to suffer was apprentice Jag Guthmann Chester, who was held to the ride on Kubis at Eagle Farm where the metropolitan meeting was held. Although Kubis won at Eagle Farm, Plumb picked up the ride on Tyzone. Tyzone’s trainer Toby Edmonds was at Eagle Farm but was a keen observer of the Goldmarket, which was delayed by a pre-race fall at Eagle Farm. “It was bad luck for Jag, but Ryan got the job done. Tyzone is starting to get up in the weights for these type of races but we will look for a few things for him in the winter,” Edmonds said. For the second year in a row Malvern Estate finished second In the Goldmarket. Trainer Desleigh Forster is now looking at the Weetwood Handicap in Toowoomba on Saturday week.